One thing missing from the taxis in bus lanes debate is a sense of what it will be like in Belfast once the change happens. With an 8 times increase in permitted taxis due in January 2015, we can draw on the experience of Dublin. 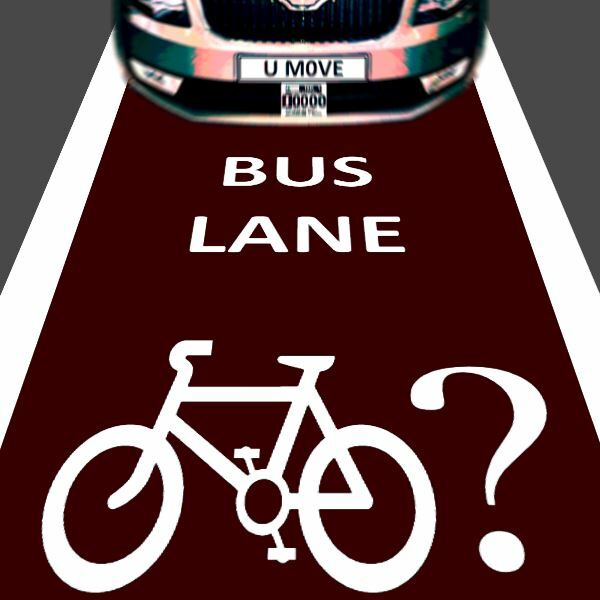 Will turning bus lanes into “walls of steel” help to scud our planned cycling revolution? In Dublin all taxis have access to bus lanes. 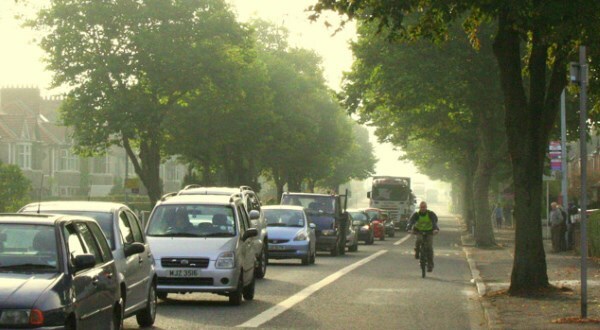 Local cycling organisations describe the feeling of cycling in bus lanes as encountering a “wall of steel”, with buses, coaches and taxis jostling with those cycling during rush hour. If you want a sense of how dangerous it feels to mix with impatient taxis in bus lanes, this video from @cyclingvillage really brings it home..
“Taxi drivers are the number one problem for cyclists in Dublin. We get more complaints about taxi driver behaviour than for bus, coach or HGV drivers. “Don’t give blanket unfettered access – for safety reasons and if you want to grow commuting cycling numbers. A taxi is a private car, and because the driver is not making regular stops at bus stops he/she can attain far higher speeds than a bus, so the risk to cyclists is too high. They are also tempted to ‘skim’ by the rider from within the lane – dangerous overtaking. Mixing fast, impatient taxis with relatively slow cyclists isn’t a recipe for a healthy upsurge in cycling – it favours the faster, younger (and typically male) cycle commuter type who is forced into taking the lane in primary position for his own preservation, if a taxi driver obliges. Do we want Belfast to be a city where cycling in rush hour can be a social activity, or where it’s no wonder cyclists get knocked down for being in the way of taxis? Whether the intimidation is subjective or all too evident, and judging by some of the hand gestures there’s certainly little love for those on two wheels. It’s the regular encounters that will gradually grind you down and chase people in Belfast off their bicycles and back into their cars. “The particular route itself and the taxi driver behaviour is a terrible combination. I don’t cycle it anymore – it’s that simple. It’s a heavy traffic direct route into the city and because people driving are going directly into the city, the traffic is heavy in the outside lanes. This leaves a narrow corridor where taxi drivers expect to overtake within the bus lane. This is not possible with a safe passing distance. The driving can be too close and too fast. It’s a real confidence-shaker. What is striking about many of Keith’s videos is the almost unbelievable pressure which various taxi drivers put on cyclists. From following within inches of a back wheel hoping to squeeze past, to beeping the horn at people who are travelling in a perfectly legal fashion, the common denominator seems to be taxi drivers feeling inconvenienced by those on bicycles. This is incredibly rare in Belfast – at the moment. A mandatory re-sitting of the driving test for ALL taxi drivers would sort out the daily dice-with-death that is a Dublin cyclist's commute. Just in case you think that Dublin is unique in the way taxis interact with cyclists in bus lanes, here’s similar behaviour occurring in Leeds – is this just inevitable behaviour? I’ve made the case for government to value the perception of safety, but it can be a little abstract for decision-makers who don’t often find themselves on two wheels in Belfast. Dublin shows that cyclists are regularly hassled by impatient taxi drivers who exhibit behaviour ranging from unreasonable to plainly dangerous. It’s far removed from places like Copenhagen or the Netherlands, where cycling is normal for everyone because it’s designed to be safe. Bus lanes are not our answer, but until we invest to catch up with the best cycling cities, they serve an important purpose. We’re planning to create better, safer routes to encourage more people of all ages and abilities to cycle around Belfast – so why throw us to the wolves?